Believe it or not, there was a time when you could drive to Haleakala on Maui at sunrise and find yourself practically alone. Hard to fathom? I bet! Nowadays, the magical experience of getting lost in the beauty of the sunrise often eludes most visitors, who spend most of the morning hunting for a parking space, searching for a place to actually SEE the sunrise, and then bumping elbows with a neighbor. Frankly, the magical experience is hardly magical at all for many visitors hoping for some solace above the clouds. However, that’s all about to change. And, you’ll need to be the judge whether it’s a good thing or not. Haleakala National Parks officials have just announced radical changes to the way people watch the sunrise at the summit — you’ll now be required to have a reservation before making the trek up the mountain for sunrise viewing. 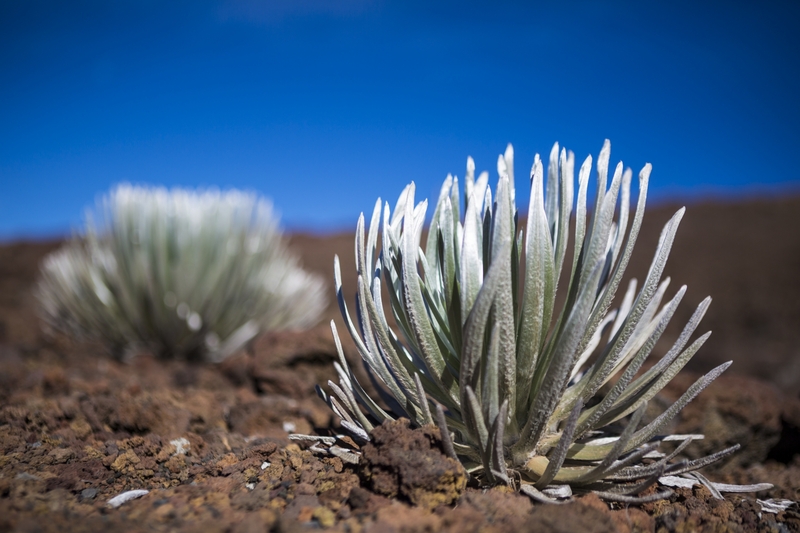 One of the reasons the new reservation system is in place is because it may help keep crowds down, which will, in turn, help protect plants like the silversword. According to the flyer being distributed to inform visitors, the reservation fee is not part of the entrance fee. Entrance fees will be collected upon entry to the park. Visitors with national park passes should have the pass and ID ready to present at the gate for entry. Weather is constantly changing at the summit of Haleakala, and officials can’t predict whether a sunrise is going to be clear or cloudy. There will be no refunds or exchanging reservations for a different day. Officials say safety is the real motivation for the new reservation system. According to the park’s news release, “The four summit parking lots serving sunrise viewing hold approximately 150 vehicles. Vehicles regularly exceed 300 per sunrise. When vehicles outnumber parking spaces, visitors park on road shoulders or in the upbound lane of Crater Road. The cars block emergency vehicle access and damage park infrastructure, vegetation, and critical habitat for endangered species such as the Hawaiian petrel and Haleakala silversword. Crowds at sunrise viewpoints often number over 1,000, with accidents resulting from visitors moving off trail and climbing cliff sides in the dark. 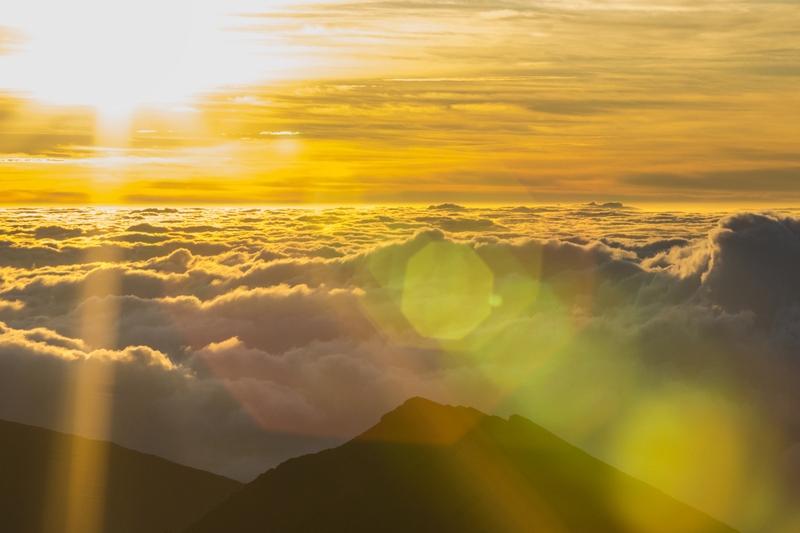 More than a thousand people often come to the top of Haleakala to watch the sunrise. Keep in mind that this new online reservation system is the ONLY way to get a spot. However, you can bypass the reservation system by planning your visit during other times of the day. Or, forget the entire hassle, and allow the tour professionals at Hawaii Aloha Travel to do the work for you. You can book a Haleakala Crater Hike through HAT, and you’ll have the opportunity to experience the crater with the guidance of a helpful and safety-conscious guide. In the meantime, make sure you don’t try and visit Haleakala on Maui during sunrise WITHOUT a reservation, after February 1. You don’t want to wake-up at 2 am and be turned away!